From WBUR 90.9 FM's Show "On Point"
My guest today says that childhood divorce from nature is costing us, our children, dearly in physical and mental health and more. This hour On Point: getting the kids back to nature. USA Today: Md. 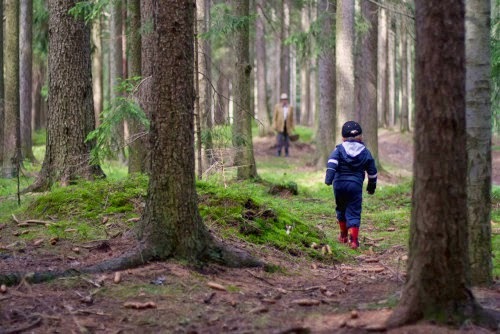 parents investigated for letting kids walk alone — “Maryland law prohibits children under the age of 8 from being unattended in a dwelling or car, but makes no reference to the outdoors. A person must be at least 13 years old to supervise a child under 8. NPR News: Kids Need Abundant Connection With Nature – “One of the problems today is that kids don’t have their sensory skills developed. We can walk outside and not hear the birds or smell the flowers or feel the air. And so the initial challenge is just to start noticing nature. Get kids taking pictures of it if they need to use technology.